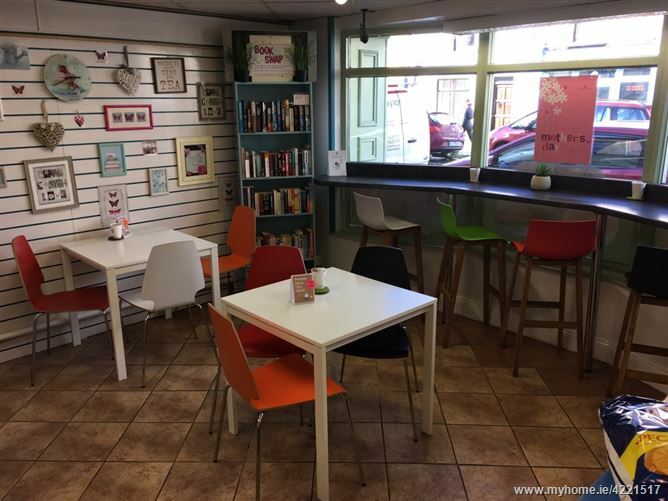 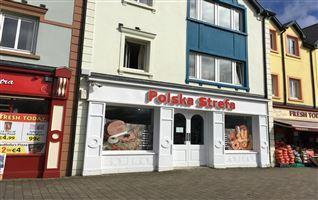 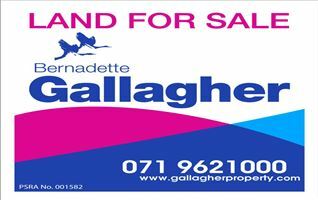 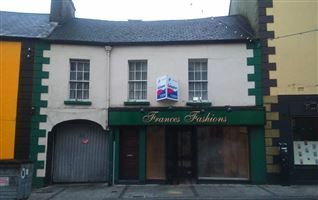 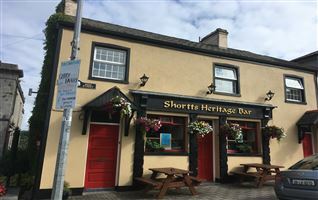 RETAIL & RESIDENTIAL : Located on the Main Street close to the busy junction of Dublin Road, Leitrim Road and Summerhill : This Prime Retail Shop with residential accommodation on Main Street, Carrick on Shannon, Co Leitrim is presented in excellent condition internally & externally. 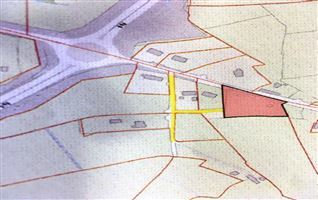 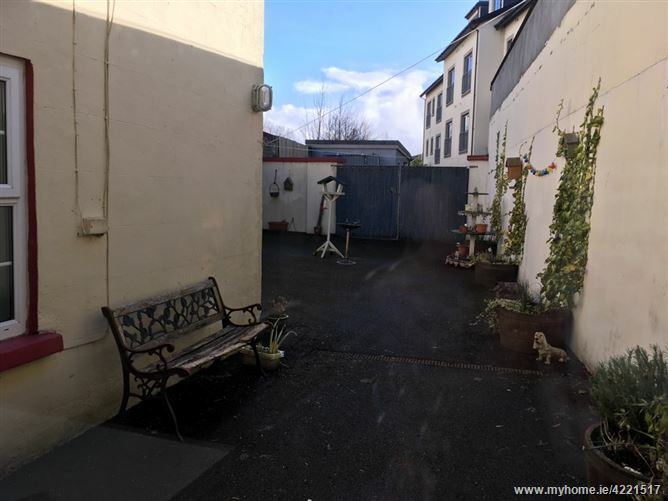 Located in high visibility and high footfall area with adequate on street parking, close proximity to car parks, offices and apartments giving it accessible trade. 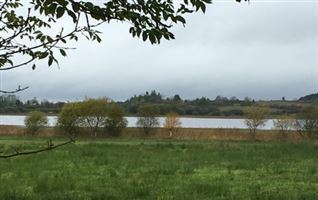 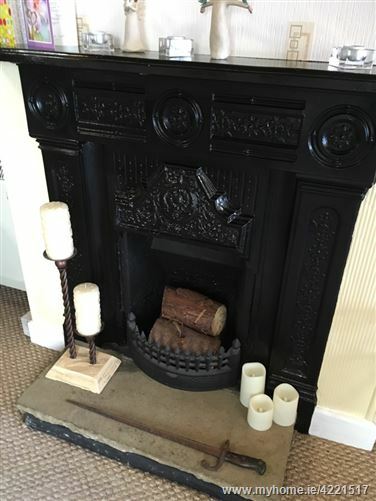 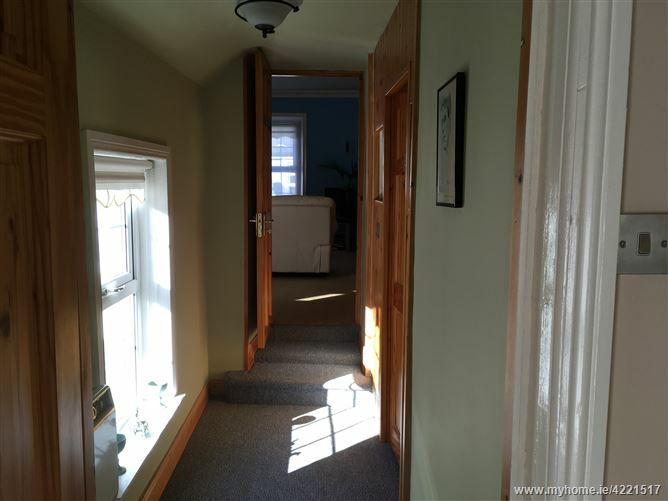 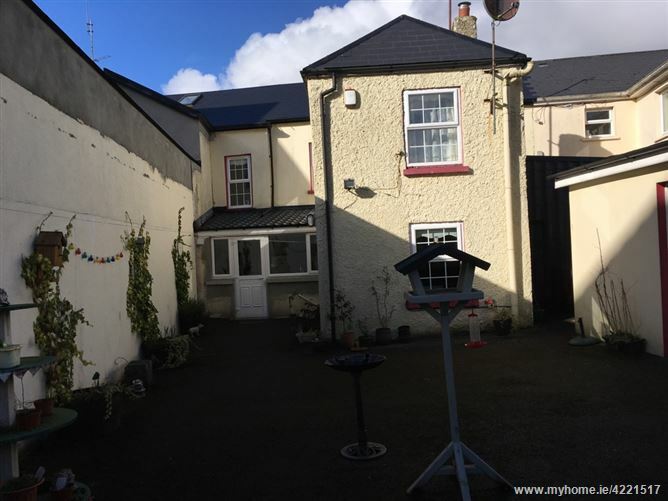 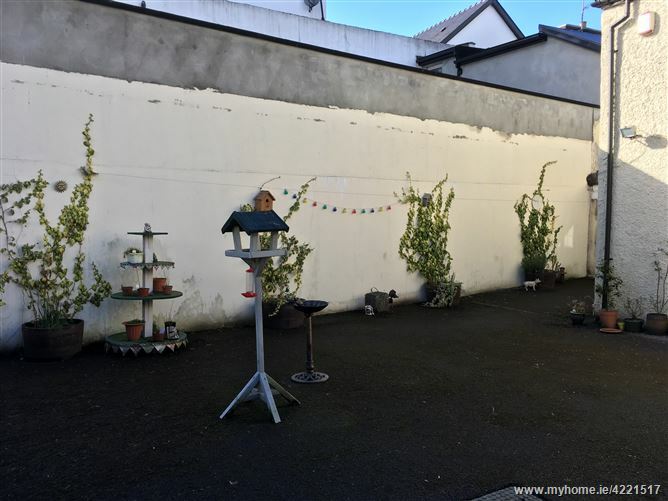 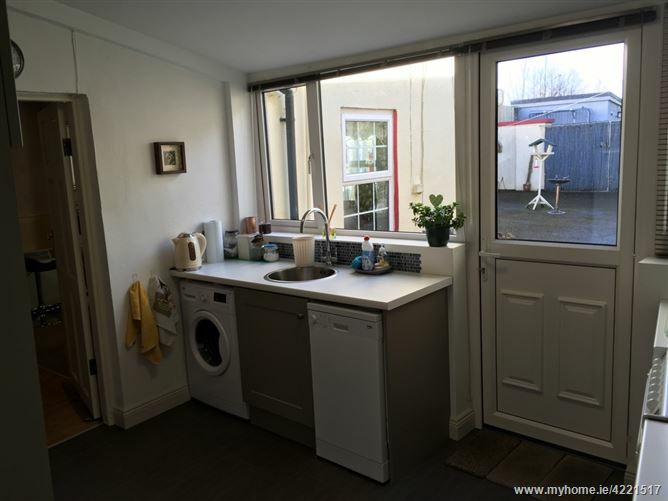 The property consists of downstairs retail unit with storage area for shop, sitting/dining room with solid fuel feature fireplace, kitchen, externally there is a large enclosed yard, shed & WC. 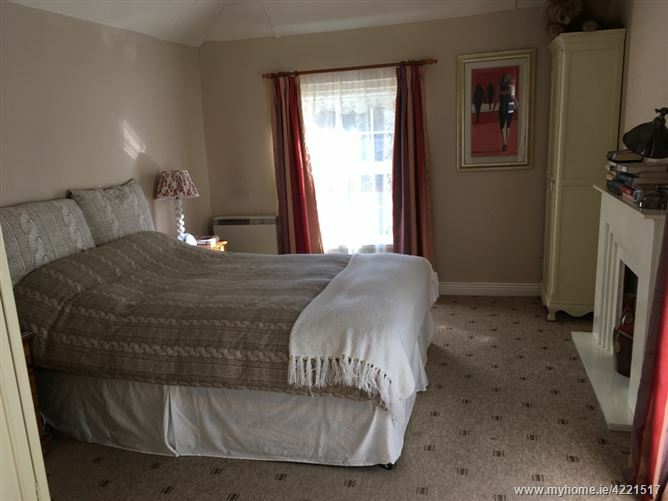 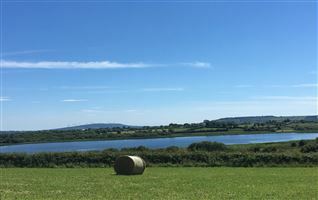 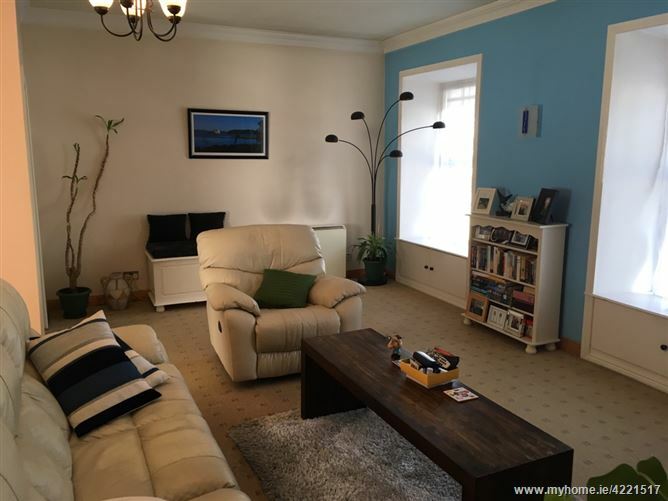 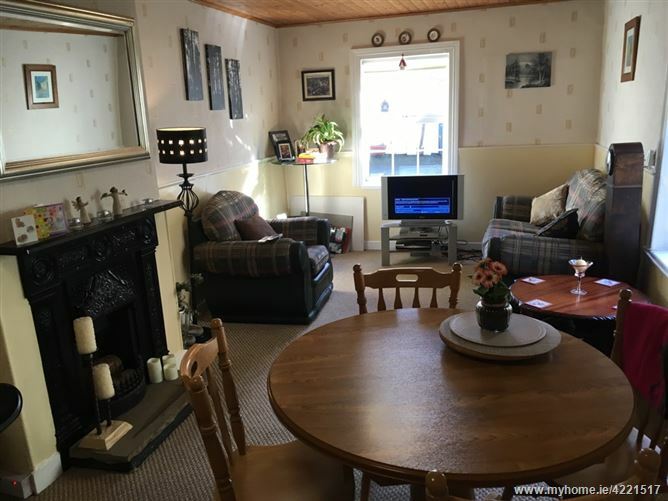 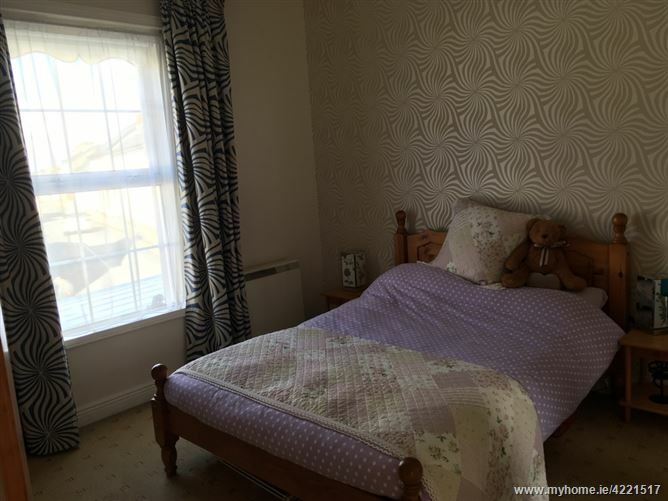 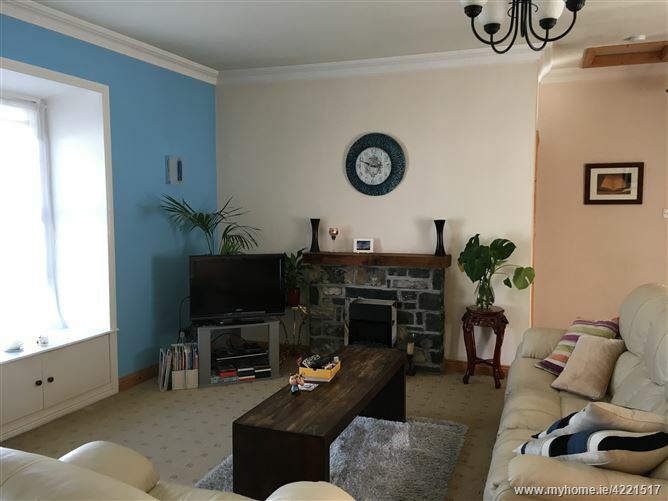 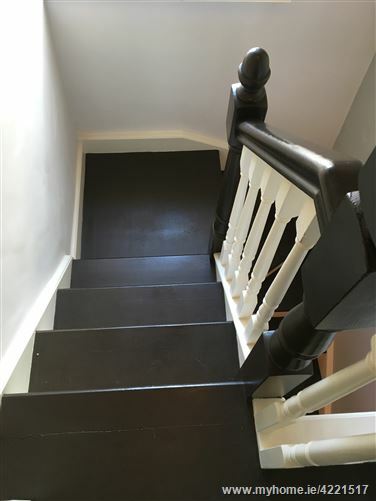 Upstairs has spacious living accommodation consisting of spacious sitting room, three bedrooms and bathroom all presented in excellent decorative order. 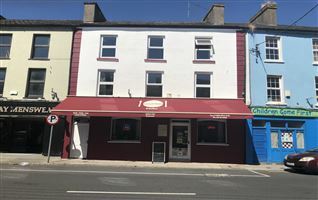 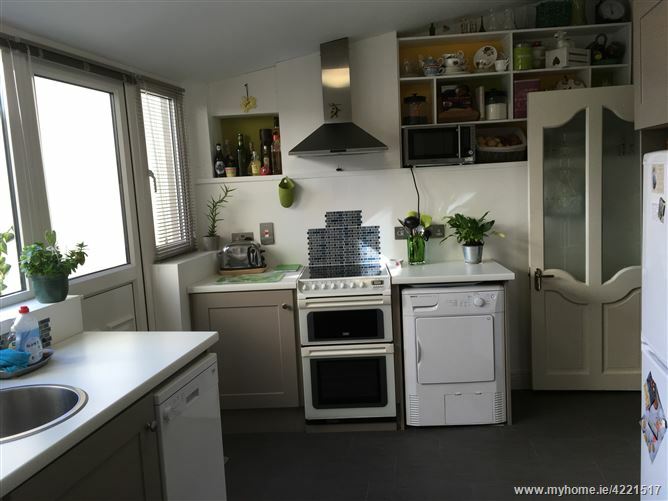 This property would be an excellent investment for a young couple with living accommodation suitable as a starter home , also attractive to an investor who could lease the premises as two separate units. 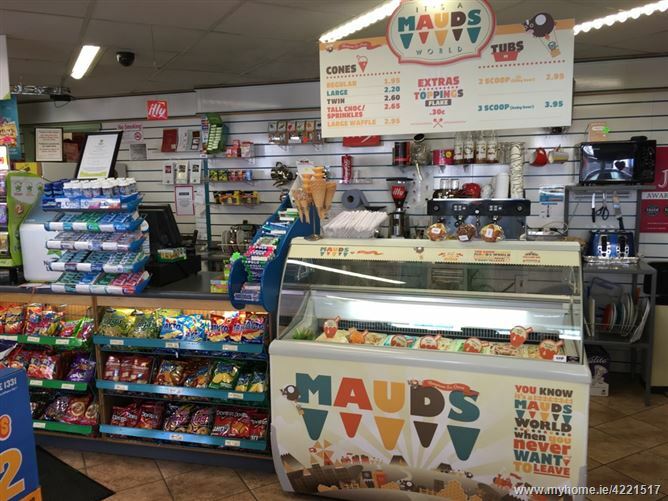 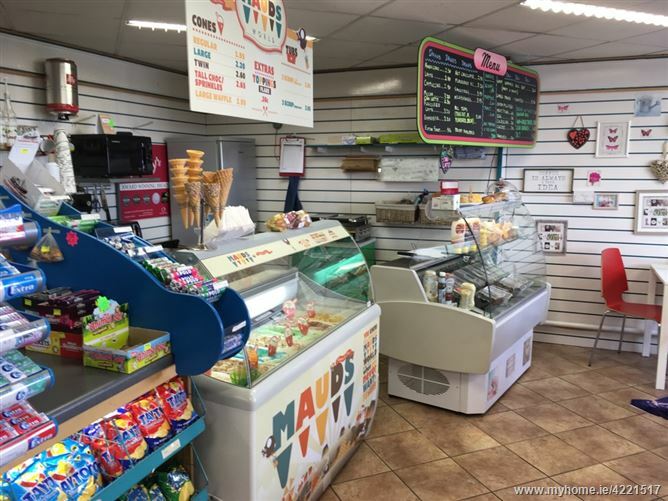 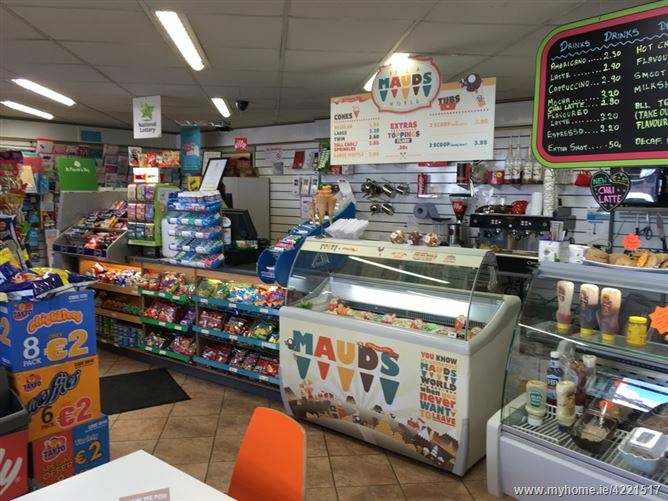 Priors News agents has been trading for numerous years and has diversified over the years in keeping up to- date with customer requirements hosting not only a new agents but also a coffee dock & ice cream parlour. 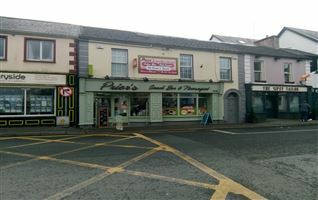 Retail shop in prime location with good business in retail, news agency and coffee area with ice cream parlour. 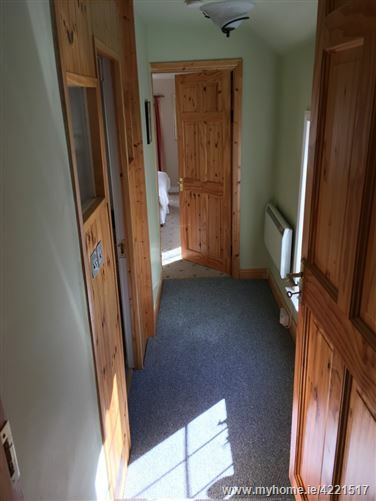 Kitchen with door leading to residential hallway and front door.